Lapacar Gran Turismo is a company with more than twenty years experience in passenger transport, dedicated to the transport of people with chauffeur in top of the range vehicles since 1995. A professional service, elegant and exclusive, always in the hands of professionals who know how to provide a correct and professional treatment to our customers. Our fleet is made up of top of the range vehicles from four to fifty-five seats. 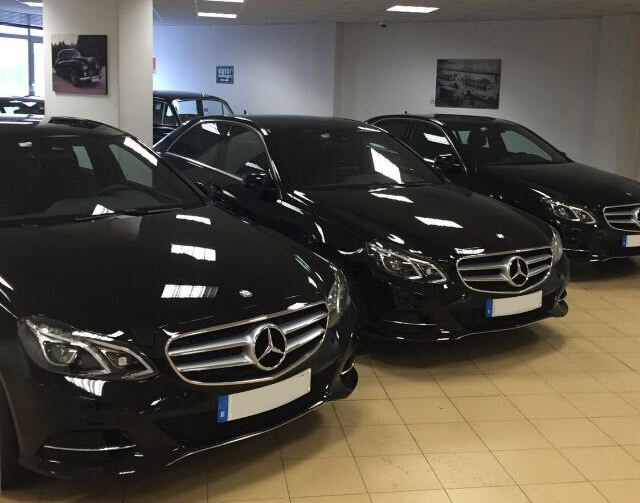 Mercedes Benz, Audi, Bentley are some of the trademark vehicles we put at your disposal. Vehicles chosen to provide a comfortable and exclusive service. For this they are equipped with the latest technology in order to achieve a relaxed atmosphere with which you can enjoy when traveling. Thus, Lapacar Gran Turismo offers vehicles equipped with TV, DVD, Wifi, air conditioning, leather upholstery, etc. Everything you need for a smooth and comfortable journey. Nowadays, in the business world, image is one of the important points to success. Our job is to take care of and enhance the image of your company in an important detail such as transportation.These goals are achieved by offering a service in which elegance and professionalism combine to achieve that distinguished treatment that you and your clients or guests receive in each one of the transfers.